A pair of shoes hang above the intersection of Houston and Elizabeth Street in New York City. 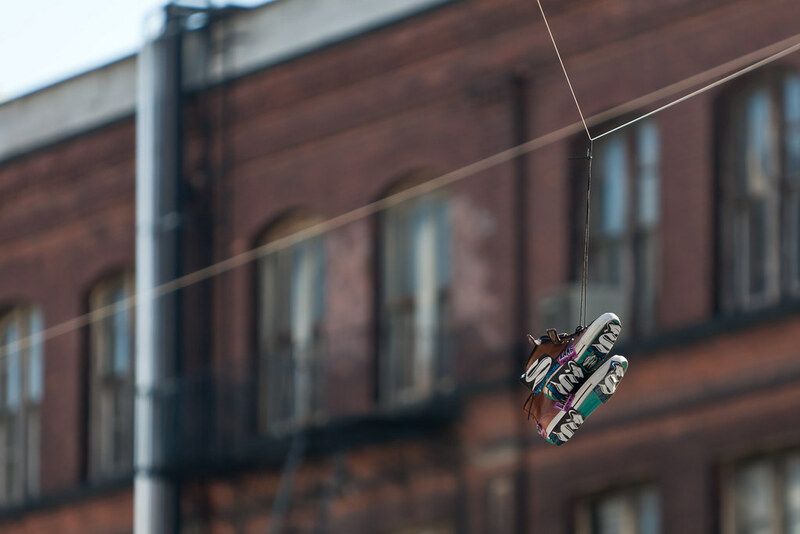 The shoes appear to be part of an art installation by the street art collective, Smart Crew. Not much to say about this other than it probably was a bit too bright and the light a little too harsh (I shot it just around noon). I used Canon's 70-200 2.8 and shot it wide-open.